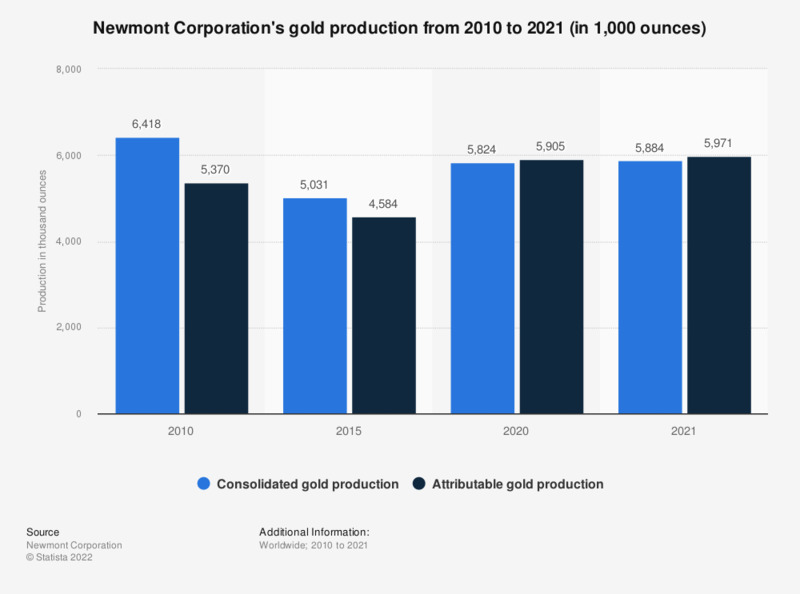 This statistic shows Newmon Mining's consolidated and attributable gold production from 2008 to 2018. United States-based Newmont is one of the world's largest gold producers. In 2018, Newmont's consolidated gold production totaled around 5.48 million ounces. * Figures have been restated in the 2018 edition of the report.